Bumblebees – Do They Make Honey? Bumblebees seem scary because they’re so big, but they’re generally gentle and unaggressive. Leave them alone and they’ll leave you alone too. Bumblebees live all over the U.S. You might see them in meadows or orchards. They are large and fuzzy with bright bands of yellow, black or red. All About Bumblebees: They are large and fuzzy with bright bands of yellow, black or red. 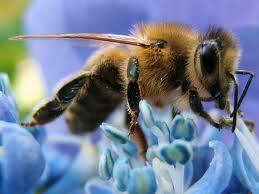 Bumblebees make only a tiny bit of honey, but farmers like them because they pollinate crop so fruit grows. They don’t live in hives or paper nests, but they live in underground burrows, usually left over from mice or other small animals. Farmers like Bumblebees because they pollinate crop so fruit grows. Keep reading for more all about bumblebees. Bumblebees only live for one season before they die. Each bumblebee has a special job. The queen bumblebee lays eggs, while the workers bring food and build an underground nest of wax. Drones are male bumblebees that mate with the queen. At the end of the summer, worker bees sometimes kill the queen bee before dying themselves. New queen bees live alone over the winter and start a new colony in the spring. Bumblebees can sting more than once. The largest species of bumblebees are found in South America. Their name is a mouth full “Bombus Dahlbomii”. According to the experts there are 225 different species of bumblebees around the world. About 46 species of bumblebee can be found in North America. In 2017 it was announced in the US for the first time that the rusty patched bumblebee is very close to extinction. A bumblebee will leave a scent on every plant / flower it lands on. They have a fantastic in built mapping system, a worker bumblebee will fly over 2 km to find food and and has no problem finding its way home. Not bad for a tiny insect. Males will travel up to 10 km to find a mate. Did you know that about 78% of our plant and trees need pollination. Bumblebees and honeybees and all bees need to be protected. Without them we as humans will struggle to survive and may not even survive at all. A video documentary about a bumblebee’s life and purpose. Answer: Bumblebees seem to disappearing and scientists aren’t sure why. Question: Do bumblebees communicate with each other? Answer: Bumblebees use smell and body movement to communicate. After they’ve taken all the pollen from a flower, they leave a smell letting other bumblebees know that the flower is empty. 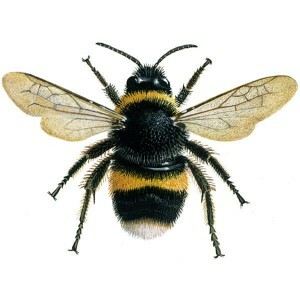 Enjoyed the Easy Science for Kids Website all about Bumblebees info? Take the FREE & fun all about Bumblebees quiz and download FREE Bumblebees worksheet for kids. For lengthy info click here. Declan, Tobin. " Bumblebee Fun Facts for Kids ." Easy Science for Kids, Apr 2019. Web. 23 Apr 2019. < https://easyscienceforkids.com/all-about-bumblebees/ >.